The two biggest decisions in any rubber molding project are selecting the final design and choosing the appropriate material to achieve the desired functionality of the component. To do the latter, it is important that one has a general understanding of rubber, its components, and the various materials in the rubber family. In our first blog post of our “A Guide to Rubber” series, we are going to provide a general overview of rubber. Rubber is a highly elastic, or “super-stretchy” solid substance most commonly used in rubber bands, tires, seals, and gaskets. Rubber materials are called Elastomers or “elastic polymers” due to the material’s excellent elongation, deformation, and instantaneous recovery from stretching or compression. Natural Rubber – which is derived from a runny, milky white liquid called Latex, that oozes from certain plants when you cut into them. 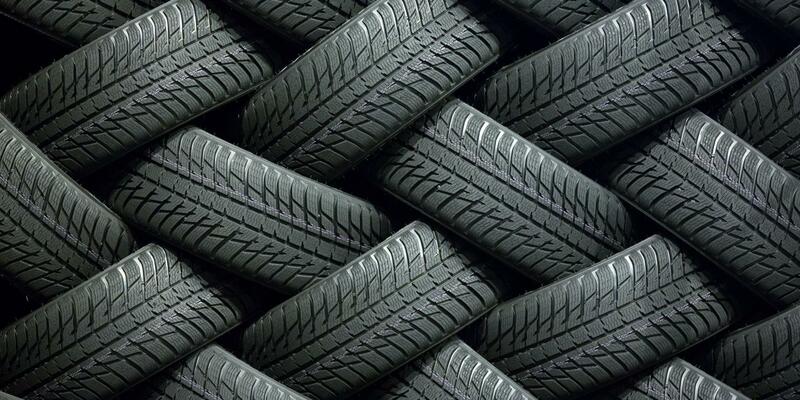 Synthetic Rubber – which is made in chemical plants and laboratories using petrochemicals as their starting point. In its original form, natural rubber has limited usefulness. The early uses of natural rubber were limited by the fact that it was sticky when hot, and brittle when cold. To develop the toughness and strength that we normally associate with rubber parts, we must crosslink or vulcanize the rubber molecules. There are several ways to crosslink rubber, but the most common is using sulfur. Sulfur, with the addition of heat and pressure, will crosslink rubber. Crosslinking (or vulcanizing) connects all the long individual polymer chains into a single unit. *Fun Fact: Charles Goodyear was the person who discovered that sulfur will cure rubber. He accidentally dropped sulfur into a pot of rubber that he was heating on the stove. Cross-linking decreases the tackiness or stickiness of raw rubber, increases its strength, and decreases its solubility in solvents. Uncured rubber is soft and tends to flow like very thick molasses with time. Vulcanization decreases this “cold flow”, increases elasticity, and makes rubber less sensitive to changes in temperature. Using sulfur alone to crosslink sulfur is very slow. It can take as long as 8 hours to cure natural rubber with just sulfur. After Goodyear discovered that sulfur would cure rubber, the search was on for additional materials to enhance the properties of the cross-linked material and to speed up the time required to cure (vulcanize) rubber. Accelerators and Activators were soon developed to speed up the curing process. The combination of sulfur, accelerators, and activators allows us to optimize compound properties with minimum cure time. Other ingredients are added to increase strength, improve processability, and improve resistance to oxidation, ozonation, and aging. Want to learn more? Subscribe to our blog and be the first to hear when the next installment of “A Guide to Rubber” is posted.